In this edition of Industry Perspectives, Siemens’ Clark Wiedetz explores a variety of microgrid financing options that can help better manage risk and enhance microgrid value. Clark Wiedetz, director of microgrids and renewable integration for Siemens Digital Grid. Imagine you made the decision to move forward with a microgrid and now it is time for the dreaded question of how to pay for it. One simple preferred business structure makes for a nice storybook ending, but alas customers prefer a variety of options. Not all customers are alike nor are they in the same business situation at a moment in time. 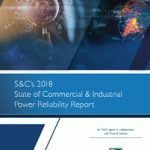 Luckily, customers do not have to worry about making the decision on their own as Siemens offers guidance for this important decision and there are affordable options for all customers depending upon their preferred style, available capital, and penchant for risk. We are seeing numerous frameworks used to finance microgrid projects, but broadly, they fall into four categories: debt, leasing, shared benefit, and let’s call the fourth, managed service agreements. 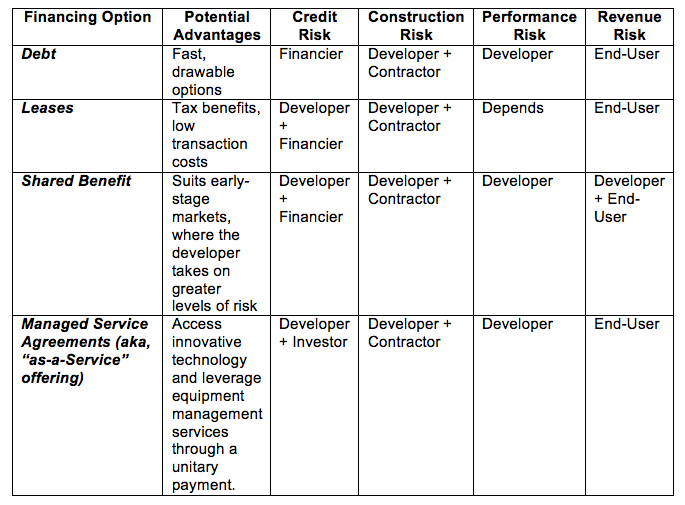 Within these microgrid financing options, there are generally four main participants: developer, contractor, investor, and end-user. How do you know which option is best for you while considering the participants? Below are some options we recommend considering for customers looking to finance their microgrid projects. Decisions about financing are frequently amongst the most complex customers must make in the microgrid development process, and making the right decision is critical to the success of any project. The third option is shared benefit financing, which is where the developer funds a project on a customer’s property using either debt or its own capital and in return takes a contractually agreed share of the value created over a period. Decisions about financing are frequently amongst the most complex customers must make in the microgrid development process, and making the right decision is critical to the success of any project. Siemens can help customers accelerate their decision by examining the financing options available to them and providing the guidance on which options may work best. 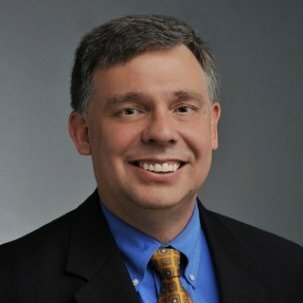 Clark Wiedetz is director of microgrids and renewable integration for Siemens Digital Grid.